My parents quote this joke a lot. We are an American family who has adopted the four lads from Liverpool as our own. As I’ve written about before, loving the Beatles is the closest thing my family has to a religious tradition. My parents came of age in the mid-‘60s, when teen magazines and radio DJs would pin the Beatles against the Rolling Stones, a rivalry both Brits dismissed at the time (at least in public). 1965 and 1966 were some of the friendliest years between the bands; they even coordinated when to release singles so they wouldn’t be directly competing with one another on the charts. (Things would get more outwardly contentious in the late ‘60s). If you set aside individual taste, there is an objective winner. The Beatles outsold the Stones from day one and solidified their legacy by quitting while they were ahead. Both bands have 10 albums on Rolling Stone’s 500 Greatest Albums of All Time, but the Stones only have one in the top 10, while the Beatles have three, including the number 1 spot. (If we’re counting solo records, the Beatles actually have 14 albums on the list). America made its choice decades ago. Personal preference is a more complex matter. In his 2013 book Beatles vs. Stones, historian John McMillian frames the rivalry as “two sides of the one of the twentieth century’s greatest aesthetic debates…with some qualifications, the Beatles may be described as Apollonian, the Stones as Dionysian, the Beatles pop, the Stones rock, the Beatles erudite, the Stones visceral, the Beatles utopian, the Stones realistic.” Or put another way, the Beatles were the American dream, and the Stones were British exiles, beggars at a banquet. If the Stones were ever going to surpass the Beatles, 1966 would have been the year to do it. The Stones released Aftermath in April, and in the following months, the Beatles would perform their last ever official concert. The Stones, of course, would continuously sell out arenas for another 50 years. (They’re playing in Prague tonight!) In July, the Beatles’ persona as the more palatable, clean-cut option for Americans was jeopardized when John Lennon was quoted as saying that the Beatles were “bigger than Jesus.” The comment—which originally appeared in a British magazine months earlier, eliciting no reaction—inspired death threats and mass record-burning parties in the States. The Stones had a window. 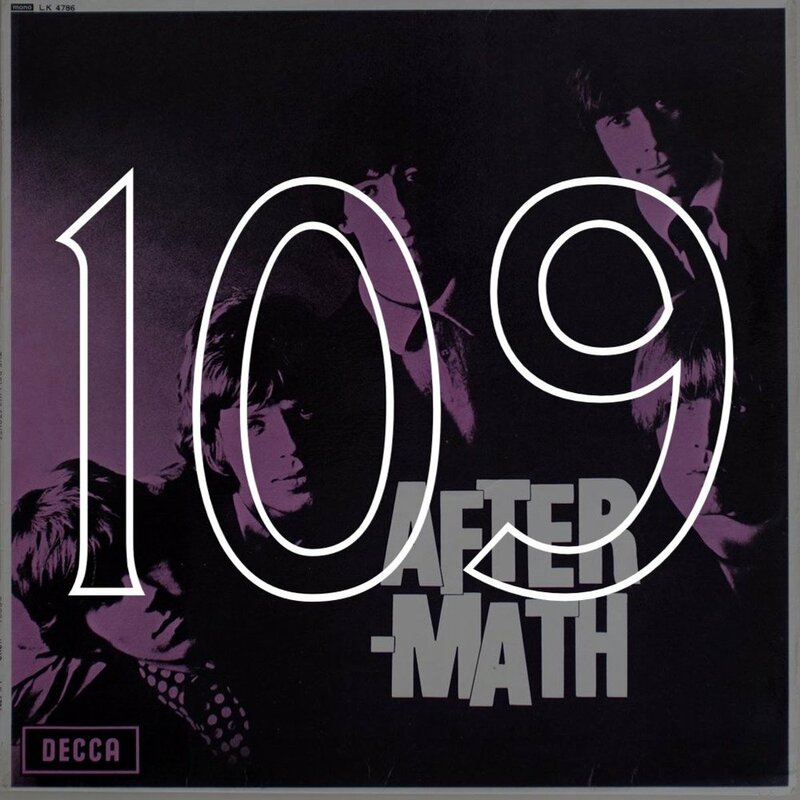 Aftermath also presents a maturing sound: it’s the first Stones album to consist entirely of original tracks, and one of the first records ever to exceed the 50-minute mark. The U.S. version opens with “Paint it, Black,” the most goth song of the 1960s. What a contrast to the only other pop song to have featured a sitar at that point: “Norwegian Wood.” Where Rubber Soul is dreamy, sentimental, Aftermath is brash, dingy. The Beatles abandoned the blues just as the Stones refined their approach to it. Even as a Beatles disciple, I can’t deny the Stones’ genius. Exile on Main Street is a masterpiece, secure on my personal top 10 list. Aftermath has its moments, but speaking in Of All Time terms, l consider the unabashed misogyny in songs like “Stupid Girl” and “Under my Thumb” to be disqualifying. (McMillan describes “Under My Thumb” as “a revenge fantasy, a kind of introverted funhouse mirror sequel to Lennon’s ‘Girl’”). And while I acknowledge that not every Beatles lyric holds up to 2018’s moral standards either (see: John’s glib confession to beating his first wife in “Getting Better”), I ultimately deflect to my upbringing. That anyone would prefer the Rolling Stones to the Beatles is simply baffling to me. There is a right choice. It’s no wonder Homer Simpson thought the Beatles were from the United States: Beatlemania has the fervor of nationalism, a superiority complex in line with the American tradition of embracing the right kind of immigrant. The Beatles are the best, so they must be ours. But to let it be is to let it bleed. Taste is only a matter a circumstance; I was born into a Beatle family, just as I was born with white skin on a certain side of an arbitrary border. To those who find more hope in “You Can’t Always Get What You Want” than in “Hey Jude,” I’m glad you’ve found it at all.